I had a discussion with the artist (Nathalee Paolinelli) about these pencils - she likes them organized. 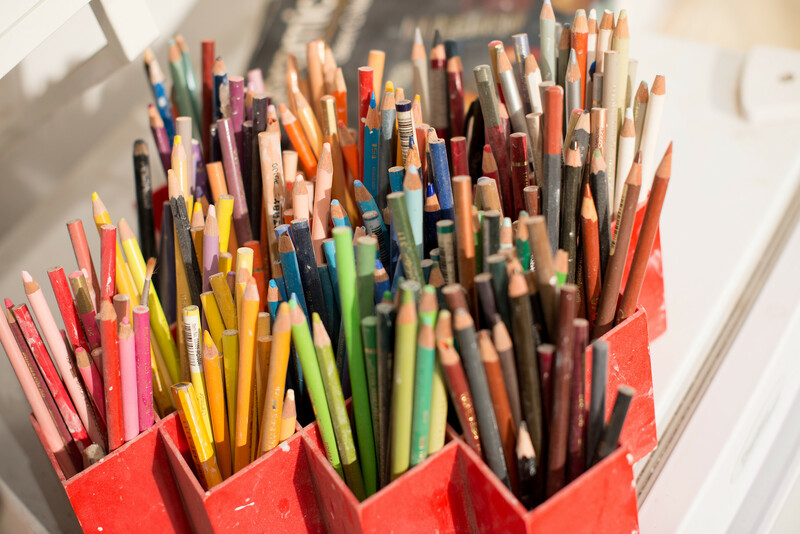 She teaches pottery classes and the students sometimes use these pencils in sketching out plans. She doesn't like it when the pencils wind up in the wrong bins. When I looked at the bin, she picked out a few errant pencils and returned them to their bins.